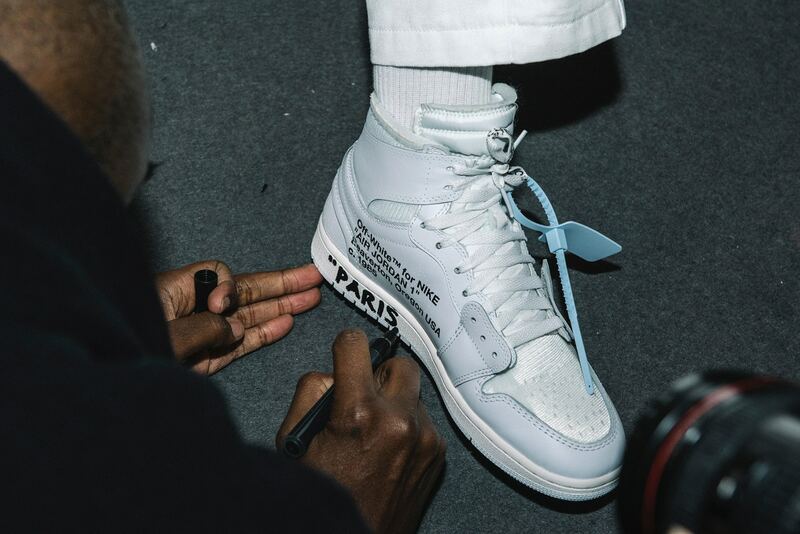 During the Off-White™ ”Business Casual” show at Paris Fashion Week Men’s, Virgil Abloh showed some new footwear collabs down the runway and an all-white pair of Air Jordan 1s from his Nike collaboration were also revealed. This version of the sneaker comes in a tonal white colorway, while the signature tag comes in pastel blue. Dope or Trash?